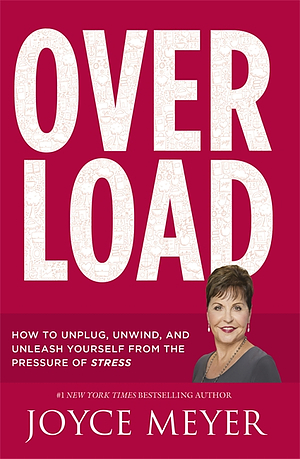 Unplug yourself and draw closer to the comfort and joy of God with the help of Joyce Meyer's latest life-changing book. How did life get so busy? It is becoming increasingly difficult to keep up with the demands of each day. #1 New York Times best seller Joyce Meyer calls this Overload. Modern life has just become all too consuming with no time to experience the joy and peace God has planned and wants for you. So turn off your phone, put on the kettle, and find out what God has got planned for you today. Overload by Joyce Meyer was published by Hodder & Stoughton General Division in March 2016 and is our 8799th best seller. The ISBN for Overload is 9781473636118. Be the first to review Overload! Got a question? No problem! Just click here to ask us about Overload. Through the practical advice and Scriptural wisdom in this book, you'll learn how to unplug and free yourself from burdens that weigh you down. You'll gain simple, effective tips for better rest and stress management and discover the fulfilling life you were meant to lead. Chapter 2: Who's In Charge? Chapter 6: Did You Forget Something? Chapter 12: Facing Stress Head-on!